Toma Piemontese boasts being one of Italy’s oldest known cheeses, dating back to Roman times, and while the Toma style cheeses are still prevalent throughout northern Italy, the Piemontese version became the first to receive a D.O.P. designation in 1996. 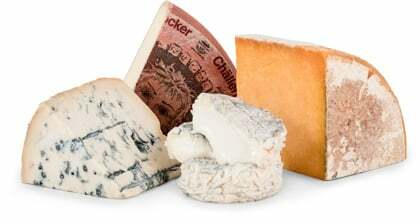 Piedmont (Piemonte in Italian) is indeed a culinary rich region, and its geography and climate are well suited to produce world-class cheeses. The Toma Piemontese you will have the opportunity of tasting this month is from the province of Biella and made with milk from two consecutive milkings, contributing to its rich and pliable texture. It is then aged for 5 months on white pine boards. Toma Piemontese is a semi-firm, cow’s milk cheese. 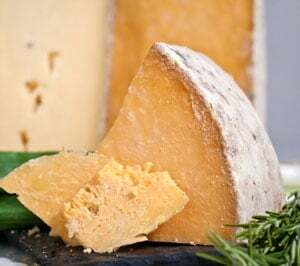 Upon opening the wheel, its paste is a rich buttery yellow hue and mild fragrant earthy aromas are present which remind one of clean soil and grass. The flavor profile confirms the nose. Cows from this region are grazing at a pretty high altitude when they produce the milk to make this cheese and that terroir presents prominently in this Toma. It’s not an overly sweet tasting cheese. The flavors lean more towards earthy, vegetal, and woody notes which present more with age. Toma will pair well with Italian red wines and can melt down nicely into polenta or sauces.